Many Native artists didn’t sign their work. In the Southwest United States, traders encouraged artists to sign their work to help sales. Paqua Naha or Frog Woman, a Hopi potter and painter from Arizona had a very unique signature. 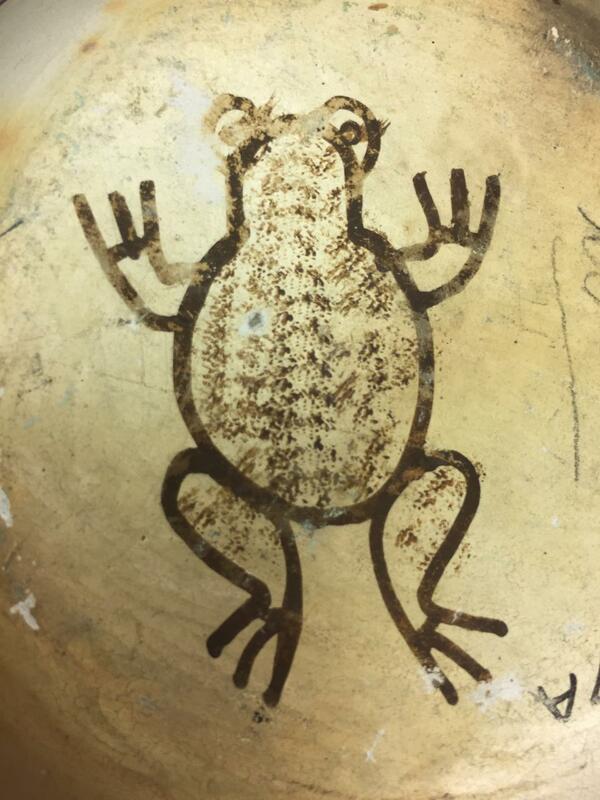 Paqua, which means frog in the Hopi language, would draw a frog on the bottom of her pottery. Her daughter, Joy Navasie and also known as Frog Woman, would continue the tradition but change how the frog’s feet were depicted in order to differentiate the maker. 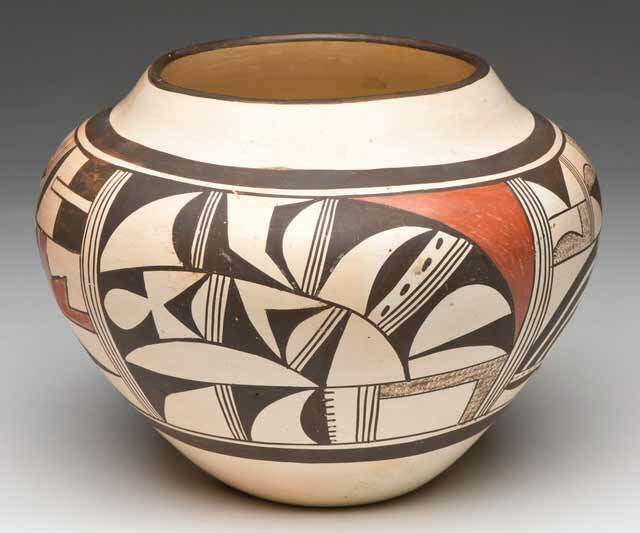 The Minnesota Historical Society has four of Paqua Naha’s pottery in the collection. To see Paqua and other Hopi material culture please visit our Collections Online.